I really wanted to subvert the vampire myth and take it in a new direction by combining it with medical science and history. Are vampires really a threat to human beings, or do they just suffer from an unfortunate medical condition? In LIVING AMONG US, a documentary crew is sent into a “modern” vampire home to get the scoop on their contemporary lives, but all does not go as planned. The high profile independent horror flick and its cast will kick off the third annual Silver Scream Fest on Friday, February 16. The film will be followed by a special Q&A featuring cast members Thomas Ian Nicholas (AMERICAN PIE), Andrew Keegan (10 THINGS I HATE ABOUT YOU), Chad Todhunter (CAPTAIN AMERICA: THE WINTER SOLDIER), and Jessica Morris (AMERICAN EXORCISM), as well as writer/director Brian A. Metcalf (THE LOST TREE). The film is also host to a number of impressive and gruesome practical makeup effects that are sure to appeal to Silver Scream attendees. 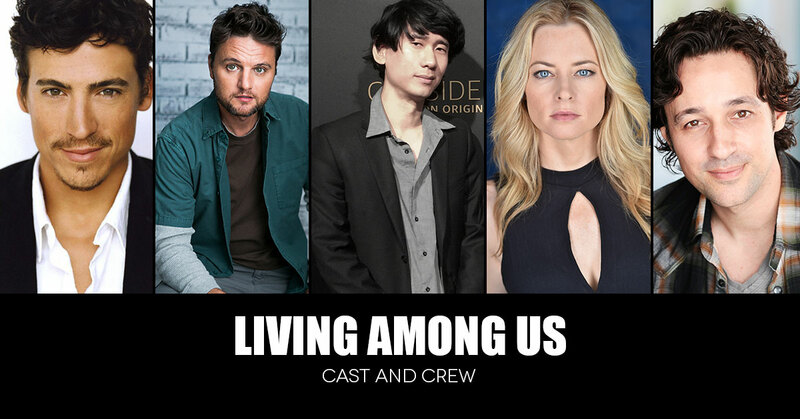 LIVING AMONG US, premiering in Los Angeles on February 2, also stars the late John Heard (HOME ALONE), Esmé Bianco (GAME OF THRONES), William Sadler (TALES FROM THE CRYPT), and James Russo (DJANGO UNCHAINED). Other events scheduled for Silver Scream include a 25th anniversary celebration of CUJO with Dee Wallace, a presentation of FROM BEYOND with Barbara Crampton, NIGHT OF THE COMET with Kelli Maroney, and the first ever theater showing of Criterion’s 4K restoration of NIGHT OF THE LIVING DEAD with co-creator John Russo. To buy tickets for the Silver Scream Festival, visit http://www.silverscreamfest.com. 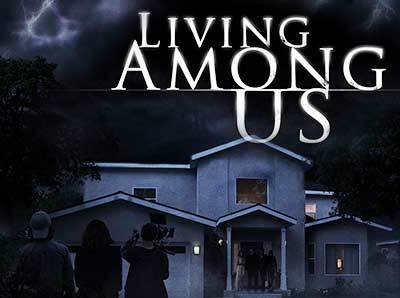 LIVING AMONG US cast and crew premieres at Silver Scream Fest, Feb 16-28.